Lawrence Ballenger reveals his top muscle-building moves for every major body part. If you were challenged to build a balanced, massive physique using only eight exercises, which ones would you choose? We posed this conundrum to one of the more relentless athletes we know, MuscleTech-sponsored athlete Lawrence Ballenger. He tends to use a range of movements, making the most of every tool at his disposal to ratchet up intensity and grind out productive workout after workout. But how would Ballenger squeeze nearly the same benefits out of a drastically reduced arsenal? The eight exercises he finally settled on hit every major body part while demanding the most of ancillary muscle groups. His short list provides an effective, efficient, full-body roll call of maximum mass builders that have you gritting your teeth and sucking air whether you're a beginner or have spent years heaving the iron. "This is the ultimate compound lift, giving you an overall thickness unlike any other exercise," he says. "You can also change your stance to hit different areas of the legs." For example, a narrow stance (inside shoulder width) focuses on the vastus lateralis on the outer thigh, while a wider stance emphasizes the glutes and the adductors on the inner thigh. No matter which stance you choose, the squat works the stabilizers and also activates your core. "On top of that," Ballenger says, "it's just one of those basic, primal moves. You get deep, a bit below parallel, and then have to find a way to stand back up. It's you against the weight." Keep your eyes straight ahead. "Your head should be straight as you watch your form in the mirror," Ballenger instructs. "Don't look up. Keeping your gaze up toward the ceiling distorts your alignment and potentially can cause lower back and neck problems." "The barbell squat is the most productive leg exercise, but the leg press is right up there with it," Ballenger says. "You can change your tempo on this exercise, such as taking 2 seconds on the up and the down with a 1-second pause in the bottom position." If you have a spotter, he says, you can do dropsets: "One of my favorite ways to build leg mass on the leg press is to do a combo set, doing 10 reps with one leg, then 10 with the other, and then 20 with both legs." Don't let your lower back curl off the pad. "Everyone has a different range of motion," Ballenger says. "Some people who have great hip flexibility can bring their knees all the way into their chest. Don't go this far if you have to curl your lower back away from the pad to do it. Instead, keep working on your flexibility so eventually you can get deeper." "Pull-ups hit your lats, of course, but they also work shoulders, biceps, and core stability," he says. "They give you overall thickness and definition that's hard to replicate with any other exercise." No matter how big you get, he says, keep doing pull-ups. Once you're able to do 2-3 sets of 20 reps, start adding weight with plates or a dumbbell attached to a chain belt, or with a weighted vest. If you struggle with pull-ups, do auxiliary movements such as close-grip lat pull-downs to strengthen the key muscles involved. "I like the close grip, because it helps me elongate my lats on the stretch, and build up depth through my lats and middle back," Ballenger explains. 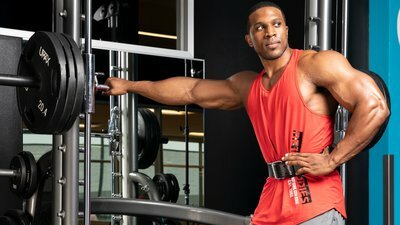 "I sit upright and bring the handle down to mid-chest level and rotate my shoulder blades on each rep."
If you have a wide waist, he says, blowing out those lats with pull-ups and pull-downs can make your waist appear smaller. "So much of bodybuilding is creating an optical illusion," he says. "Rowing is key to hit your traps and the middle of your back," says Ballenger. 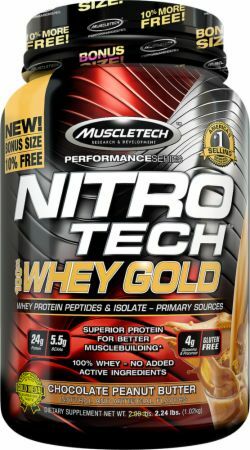 "It gives you thick muscle all along your spine and helps give the body a 3D look. I do bent-over rows all the time. It's one of my staples." As long as you're not dealing with lower-back issues, Ballenger suggests going heavy, starting at 5 sets of 5-8 reps, then pyramiding up to as much as you can handle on the last set. He typically rows 405-475 pounds. Your core should be tight and your back flat. "Don't let your lower back round when you rep." Ballenger says. "Your lats and back are the prime movers, but you need to engage the whole body to stabilize yourself. Walk through that mental checklist before you rep, tensing all the areas you need for support." Summer's almost here. You don't want to look small in those tank tops, do you? Incline presses focus on the upper chest, and you need that for a great upper body. Ballenger does these heavy, too, for 5 sets of 5 reps.
Keep your elbows tucked in close to your torso and control the weight on the way down. Never bounce the bar off your chest. "Take about 2 seconds to bring the bar down, pause for half a second or so, and then explosively push back up," Ballenger says. "Keeping your elbows in closer to your body keeps tension on the pecs and triceps instead of on your shoulders," he explains. "This gives you a more stable base than when your elbows fan out wide. In general, using wider grips can lead to torn pecs and other chest injuries." "Like the incline press, the seated press will give you that powerful upper-body look that pops in a tank," says Ballenger. "These presses emphasize the front and middle delt heads, while also working synergistically with the upper pecs and triceps. Being able to hoist weight overhead is a fundamental component of strength." You can do this press—and incline presses—with dumbbells instead of a barbell and still get most of the benefits. "You can handle more weight with a barbell, but the dumbbells mean a stronger side can't overcompensate for a weaker one," Ballenger says. "Why the EZ-bar instead of a barbell? I like the EZ a bit better because it keeps tension off my wrists, and it makes it easier to pin my shoulder blades together and keep my elbows at my sides," Ballenger explains. He says he uses a grip inside shoulder width when he wants to work his outer biceps head a little more. He uses a wider grip to work the inner head. Ballenger advises lifters to be sure to move through a full range of motion. "Many people end up doing half a curl instead of fully elongating their biceps, and that's probably why their arms aren't growing," Ballenger points out. "I'll stop right before my elbow locks out—just far enough of a bend to maintain tension on the muscle." "This is the best triceps exercise out there, in my view," Ballenger says. "I'd suggest approaching these the same as the pull-up: Start by being able to do 2-3 sets of 20 reps. Once you've got that nailed, start adding weight." Ballenger recommends starting off by using an assisted pull-up machine or running bands under your knees and over the handles to assist you as you come back up. You can also start by practicing negative-only dips, lowering yourself under control, then using your legs to get back to the top. These are three of the easiest ways to get better at dips. Two words:Bottom out. "You want to get as low as you can in the lower position," Ballenger says. "Over time, that stretch will become easier for you." Also consider ancillary movements that can improve your dip strength. "Cable rope press-downs are a good beginner mass gainer," he explains. "When you do these, take 2-3 steps back from the weight stack. Being farther away helps apply constant tension to the muscle." Note: Pyramid up in weight on every exercise, and be sure to include any warm-ups needed, especially on the first 1-2 moves for a particular body part.